Join us in some friendly competition among Centers for Spiritual Living and other faith communities around the country as we team up to BEAT HUNGER! This friendly competition, which started in 2014 when Center for Spiritual Living Seattle and Mile Hi Church whose NFL teams were squaring off in Super Bowl 48, decided to challenge one another to a competition. To date, participants have donated some 40,000 cans of food to local food banks! All it takes to participate is to collect canned soup, stew, other needed non-perishable (or cash) donations during Soup-er Bowl. Get your Center, Church, or organization involved! Please join us in the fight to beat hunger in your own community; and, if you would like, participate in our friendly “donations per capita” competition. Need a little help getting started? We’re happy to share our experiences, ideas, and tools to help you get started. Tools include outreach templates, and a summary outline to help you create your own plan! Check out our Ideas and Resources section below. If you need assistance, contact: CSL Seattle Volunteer Team Leader Tim Brincefield or 206-245-7006 or CSL Seattle Operations Manager Rev. Patric A. Creelman. The real winners are the people who are served by the area Food Banks, who benefited from the thousands of cans of donated food. Together, we achieved our goals of joining forces to BEAT HUNGER, and, along the way, showing as much support for our neighbors as we do for our sports teams. Per Capita Winner: The friendly competition was declared a tie and a huge win in the effort to love our neighbors and BEAT Hunger! Per Capita Winner: Amazing Grace were the champions three years running! Join the fight to Beat Hunger: Let us know that your organization is joining the “National Foodbank League” and we’ll add you to our stats listing on this webpage! Recruit your Soup-er Bowl Team: Includes volunteers for publicity, collection, counting cans, etc. Contact a local food bank or other recipient of your choice to get them on board. Most food banks are happy to help with outreach and may pick up the donations. Plan the dates: Our Soup-er Bowl starts in January and runs for four weeks with final collection/tallies on the other NFL’s Super Bowl Sunday. Publicity: Use your website and Social Media to promote donations; hand out flyers with what to bring, donation tips and the dates; send emails to your congregation; and post signs and collection bins around the building. Ask your food bank if they can help. This year we’re also reaching out to our local NFL team to try to get them to help – enthusiasm for the Seattle Seahawks is high in our congregation, so we’ve made the most of that support to encourage congregants to support those in need in our community with the same enthusiasm. Encourage all levels of giving. We encourage people to donate at whatever level they can afford – be it one can, a dozen, a case, or more. 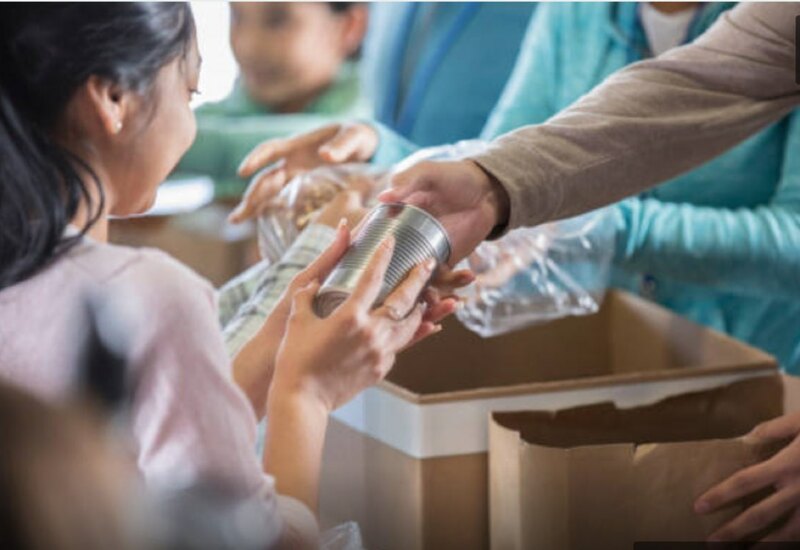 Maximize your giving potential by watching for sales, go to wholesalers like Costco, or shop online and have one or more cases delivered directly to the Center. Members of our Team are stationed by the can collection points to greet, encourage and thank donors. Help to build enthusiasm by collecting and displaying cans until the final Sunday. Each week throughout the drive, announce collection goals and donations received.